The nonstop city of Hong Kong is packed with exciting things to do and see. You might fill your getaway with ferry rides in Victoria Harbor, shopping at night markets in Mong Kok or riding the tram to the top of the Peak. While there is lots to do in Hong Kong, don’t miss the chance to explore the region. 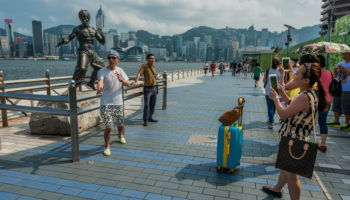 Day trips from Hong Kong are readily available using organised tours or public transportation, and you can venture beyond the big city atmosphere. 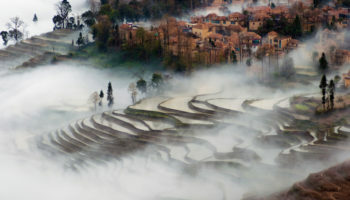 Trips can include hikes, traditional villages, theme parks and even budget shopping in China. The outlying islands of Hong Kong offer a lot to travelers, and Cheung Chau is one of the smaller and more interesting isles to explore. Located off the coast of a larger outlying island called Lantau, Cheung Chau is known for its seafood cuisine and sunny beaches. A great way to explore the island is to arrive by ferry and then set off on one of the many well-marked hiking trails. Then, kick back on the sand and watch the waves crash as local fishermen haul in their catch. Find a seafood restaurant by the beach where you can dine on delicious and incredibly fresh dishes. To get to the island of Cheung Chau, visitors can take a ferry from Central Pier No.5 on Hong Kong Island. The journey takes between half an hour and an hour, depending on which ferry you take. Once you disembark, everything on the small island is within walking distance. A guided tour is a great way to see as much of Cheung Chau as possible in one day. Tours include visits to Pak Tai Temple, Cheung Po Tsai Cave, and a stop at the beach. See trip reviews & prices. Whether you’re traveling with kids or you’re just a big Disney fan, Hong Kong Disneyland is a fun destination. Since it is smaller than some of the other Disney theme parks, it is easy to enjoy with a single day trip. Hong Kong Disneyland is located on Lantau Island, and the fun starts as you ride the Disney-themed train from the Sunny Bay MTR station. If you’re in search of adrenaline, there are plenty of thrill rides to choose from. However, there are also lots of scenic spots, a beautiful lake, opportunities to meet costumed characters and calmer rides for children. As Disneyland is located on Lantau Island, you will need to take the MTR to reach the theme park. Simply get on the MTR at Hong Kong Central and take the Tung Chung Line. From Sunny Bay Station, take a Disney-themed MTR until you reach the resort. All in all, it should take around an hour to get there in total. See trip reviews & prices. For a longer day trip that lets you leave Hong Kong altogether, consider venturing across the border into China. 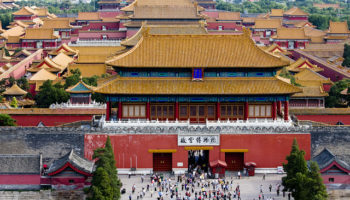 The enormous city, the third largest in China, is home to several historic Buddhist temples. The eighth century Dafo Temple is one of the oldest and most historically significant. 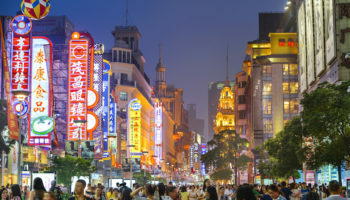 Guangzhou is also known for its many green spaces and public parks. Yuexiu Park is the largest urban park in all of China, and it boasts a series of sculptures and statues, several lakes, rolling green hills and the Ming Dynasty Zhenhai Tower, which is now home to a wonderful museum. 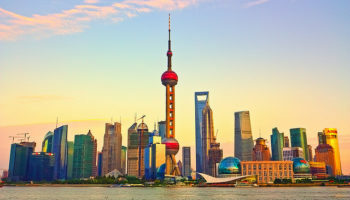 As high-speed trains now operate between Guangzhou and Hong Kong, it can remarkably take as little as 50 minutes to travel from one city to the other. You do, however, need to turn up around 45 minutes before your train, so you can go through security and immigration – remember to bring your passport. The train departs West Kowloon Station and takes you to Guangzhou South, where you can continue by metro or bus. To fit as much into the day as possible, a guided tour is recommended. 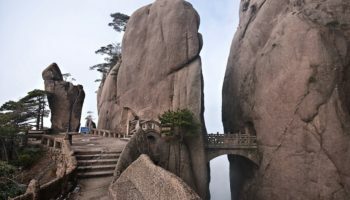 They take you to meet pandas, teach you more about the famous terracotta warriors and include a scenic catamaran journey. See trip reviews & prices. A little off the beaten track is the New Territories, a large region that is less densely populated than Hong Kong. Sai Kung is a peninsula in the New Territories that is popular with travelers and locals alike who want to escape the crowds and enjoy spectacular scenery. Hiking is a big reason to visit Sai Kung, and the Maclehose Trail is a challenging way to explore the landscape. May visitors also opt to take a junk trip from Hong Kong, which lets you sightsee through Sai Kung from the water. Most junk trips can recommend spots where you can head straight for a secluded beach and enjoy a dip in the water. From the center of Hong Kong, you can take the Tseung Kwan O MTR line to Hang Hao Station. As there are no metros directly to Sai Kung, you then need to take a minibus to Sai Kung Town. You can find these just outside the station, and they usually take around half an hour to get there. Another option is to take the metro to either Mong Kok or Choi Hung stations and again continue the journey by minibus. All the bus rides pass through some very scenic landscapes, with pristine nature all around you. Due to its remote nature, many people opt to take a guided tour to Sai Kung. As well as hiking around the beautiful rock formations and visiting a glittering waterfall, you can also take a speedboat ride around the surrounding coastal areas. See trip reviews & prices. Millions of commuters travel between Shenzhen, in China, and Hong Kong each day. The train journey is under an hour, but it can be busy during peak rush hours. However, heading to Shenzhen for a day can be a fantastic experience. The number one reason that Hong Kong locals head to Shenzhen is for the low shopping prices. In particular, Shenzhen is known for cheap clothing. 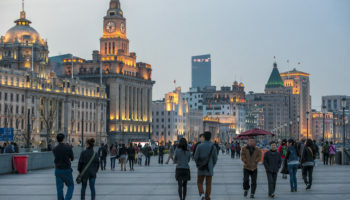 There are large shopping malls in Shenzhen packed with tailors and seamstresses, and you can have custom suits or dressed made at very reasonable prices. 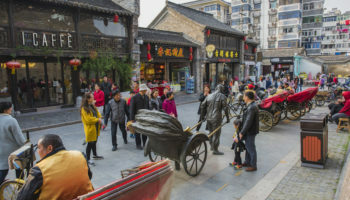 While you’re in Shenzhen, you may also want to check out the Splendid China & Chinese Folk Culture Village, which allows you to experience the varying cultures of China in a single day. Getting to Shenzhen from Hong Kong by public transport couldn’t be simpler – just remember to bring your passport. From Kowloon Tong or Hung Hom, take a 45-minute train ride to the border. 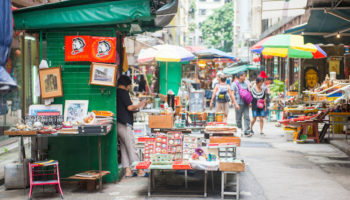 You can either head to Lo Wu Station – which is nearer to all the shopping centers – or to Lok Ma Chau – which has shorter lines but is further from the main sights. From either station, it is then a short metro journey to wherever you want to go. 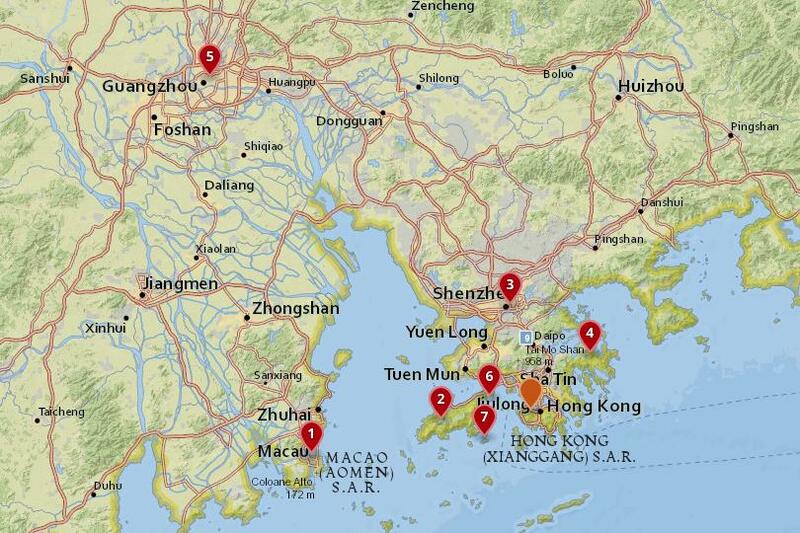 From Hong Kong Central, you can also take an hour-long ferry ride to Shenzen port of Shekou. While ferries depart less regularly than the trains and are more expensive, they are very scenic, and there are fewer queues once you arrive. Yet another option is to take a guided tour. This will help you enjoy seeing Shenzen without having to navigate your way there and back. In addition to seeing all the main sights, tours include ample free time to go shopping. See trip reviews & prices. Built in 1906, the Po Lin Monastery features three famed brass sculptures of Buddha. There are several hikes in and around the monastery, and the green mountain views are spectacular. However, the main attraction is outside of the monastery itself. The Giant Buddha is hard to miss, and it is one of the largest seated Buddha statues in the world. Hike up the steps to see it up close. Located on Lantau Island in Ngong Ping, Po Lin Monastery is reachable by public transport, and visitors have a couple of options open to them. From the center of Hong Kong, hop on the MTR and get out at Tung Chung Station. The metro ride should take around half an hour depending on where you get on. From there, you can either take the scenic Ngong Ping Cable Car – which takes about 25 minutes – or the New Lantao Bus 23 – which take around 45 minutes. Both options include a ten-minute walk to the monastery once you get off, and it is very well signposted. To gain a greater insight into the history and culture of the area, it is well worth taking a guided tour. As well as taking you to the magnificent monastery itself, stops at a traditional fishing village and a beautiful beach are also included. See trip reviews & prices. Macau is just across the Pearl River Estuary from Hong Kong, making it an easily accessible day trip. There are many reasons to head to Macau, but most visitors are interested in the casinos or the Portuguese cultural influences. Macau generates more gambling revenue annually than Las Vegas, and its shopping malls and casinos are among the best in the world. At the same time, Macau is home to a number of fascinating historic landmarks. Start your day trip by exploring the Rua da Tercena, a charming outdoor market, and then shop for antiques at the stores near the São Paulo Cathedral. Colonial era architecture and tasty Portuguese cuisine make parts of Macau feel more like Europe than Asia. When traveling to Macau from Hong Kong, regardless of how you get there, you’re going to want to take your passport with you. While you may have to fill out an Arrival Card, most visitors to Macau don’t need a Visa, but they are easily obtainable upon arrival. By public transport, you can take a ferry from either Kowloon Island or Hong Kong Island; this will get you to Macau in around an hour. If you want to explore Macau’s historic sights, take a ferry to the Main Terminal. If it’s shopping and casinos that you’re after, then it’s better to head to Taipa Terminal. Ferries run very frequently and tickets cost between 150 and 210 HKD each way. Once in Macau, there are lots of buses that can take you anywhere you wish to go. Another option is to take a shuttle bus across the longest sea-crossing bridge in the world. Tickets cost around 65 HKD, and the trip takes 45 minutes, with buses departing very regularly. Lots of buses in Hong Kong now stop at HZMB Hong Kong Port which is where you can get the bus across the Pearl River Estuary. If you want to make the most of your time in Macau, you may want to consider taking a guided tour. These will take you around all the main sights, such as the Ruins of St. Paul and A-Ma Temple. Many of them include a stop at one of Macau’s infamous casinos. See trip reviews & prices.